For those users who own Predator PC, you may be interested on the recall news released by Acer America Corp. Just recently, the PC manufacturer has just announced the plan to recall its Predator gaming PC after two incidents of computers overheating being reported in the market. 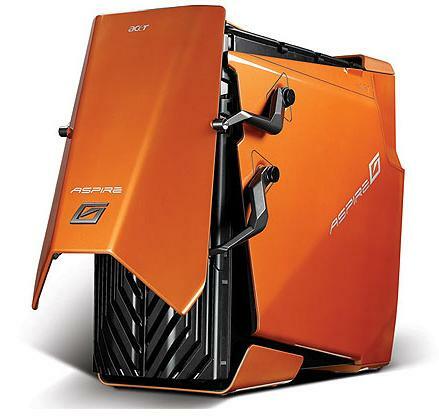 The recall involves both the ASG7200 and ASG7700 models which are quite famous as high end computer gaming machines and have been sold at a price between $2000 and $6000. The recall involves 215 units of machines being sold from May through December last year in nationwide. The main reason of overheating was due to the internal wiring of the PC system which could become bent or stripped that eventually causing short circuit in the long run. Although no actual injuries have been reported yet, but the manufacturer has initiated the recall voluntarily with cooperation from the CPSC (Consumer Product Safety Commission) to ensure consumers’ safety are under protection. Consumers are advised to stop using the product immediately and get contact with Acer for free repair. For further information, please visit the US Consumer Product Safety Commission here.